For some people in Singapore, it's work rain or shine! Even though they are perched high up in the sky! It was raining quite heavily too! 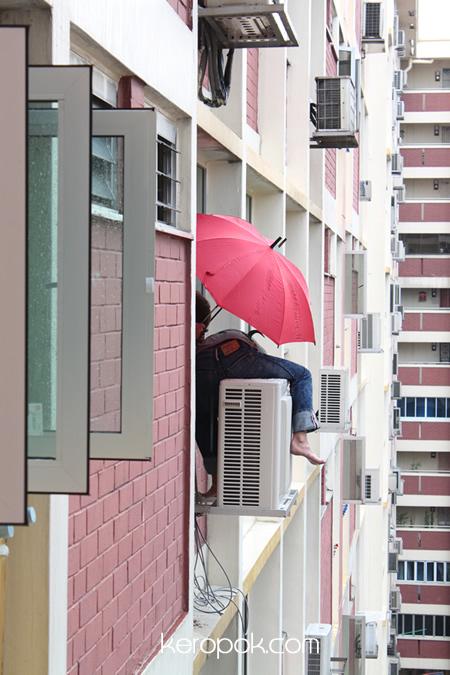 The aircon man's partner is holding 2 umbrellas preventing him from getting wet. Great colleague eh? How are your colleagues at work? Always looking out for each other too? Or are they the back stabbers? 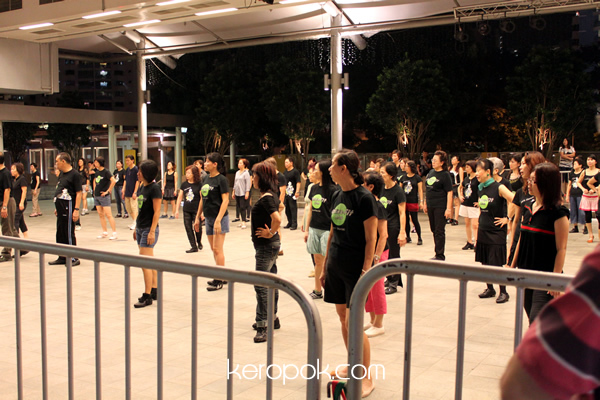 It was like nearly 10 pm, and I was a group of super enthusiastic people still 'exercising'. I used to join in group exercises like this for years, until recently. I became lazy and have tonnes of excuses to give! Do you think group exercises are fun? Somehow when you do this fun exercises in big groups, it's not so tiring! 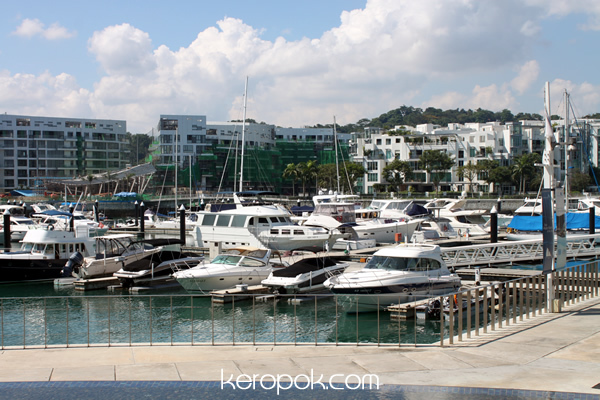 We were having lunch in front of this place at Keppel Bay. 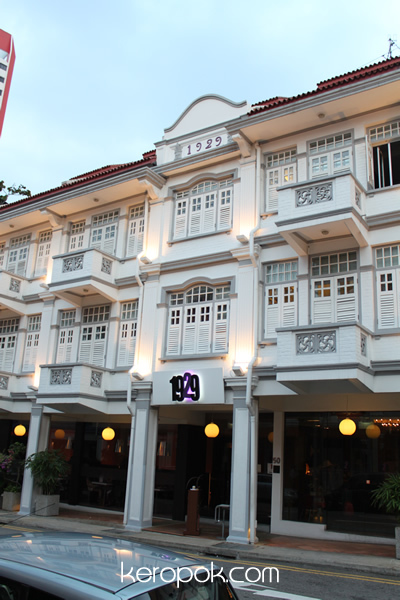 It sure doesn't look like Singapore, does it? Momo and I suddenly thought of the Marina that we were at in Cullen Bay in Darwin Australia that we visited some time ago! Have you taken a sunset cruise anywhere before? For the fun of it, I read reviews about hotels on the different hotel booking website. Trip Advisor usually have interesting very contrasting views. Do you trust what people say? How do you pick whose comment to trust? Whenever I pass by this apartment, I am in a moving vehicle, either in a bus or a car. So when I take shots of this building, it's always a bit blurry. I kind of like this building because of it's unique shape. I don't know how to explain, but if you google and read more about it, you might too. If you take a look at the behind of it, it's like a 'horse-shoe'. I just noticed something as I put up this post. 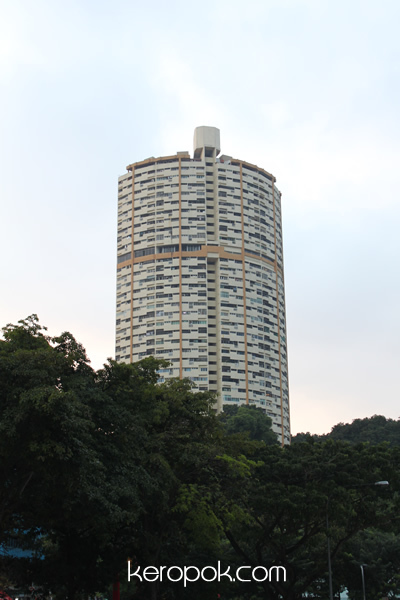 I realised that this building is actually taller (171m) than Pinnacle @ Duxton (168m)! 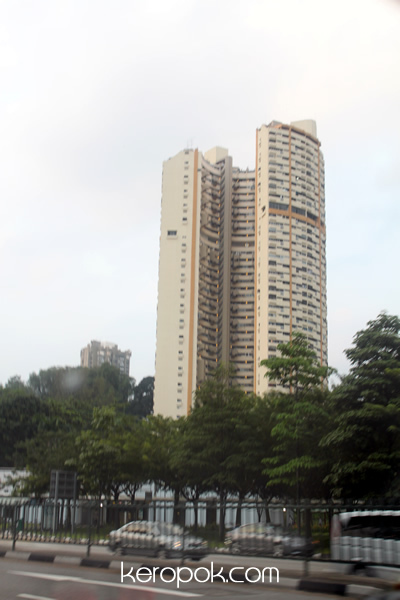 If you have been following the news, there are some staying here who wants to en-bloc the building. I was having a meal with Momo at the restaurant in St Regis the other day. On the way there, I looked up and I suddenly wished I was staying there. 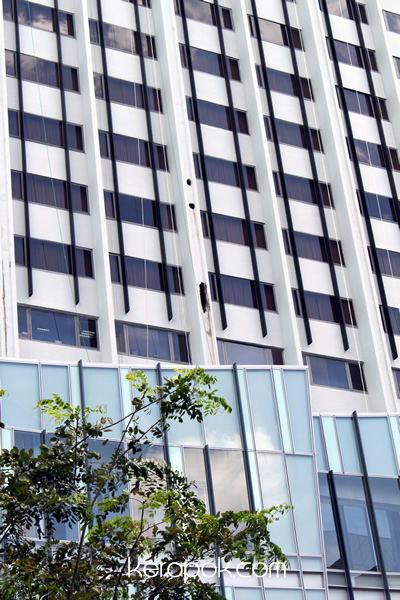 When you go on holiday, which hotel chain is your hotel chain or choice? 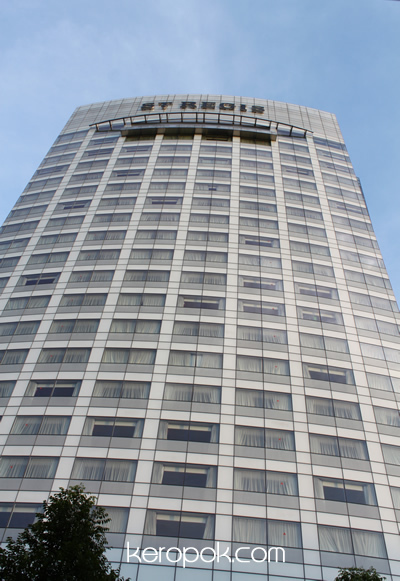 I used to stay loyal to hotel chains, but nowadays, I just book the ones that offers the overall best deal. Do you realise something? If you book a cheapo no name hotel, wifi is usually provided free or charge. But if you book those high end hotels, you have to pay for wifi and it does not come cheap. I did not visit the shop, I was just passing by snapping photos from inside a vehicle. 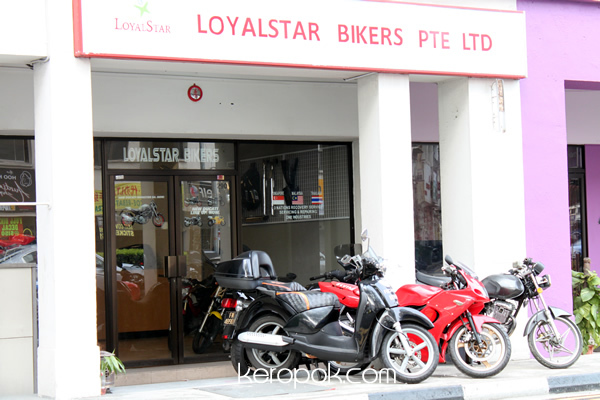 It's a motorbike shop! I have not seen one for some time. Well, that's because I seldom go to places that has bike shops. On the glass door, is a sticker that says "New Ducati Monster S4 now". Can you ride a bike? Do you have a license? 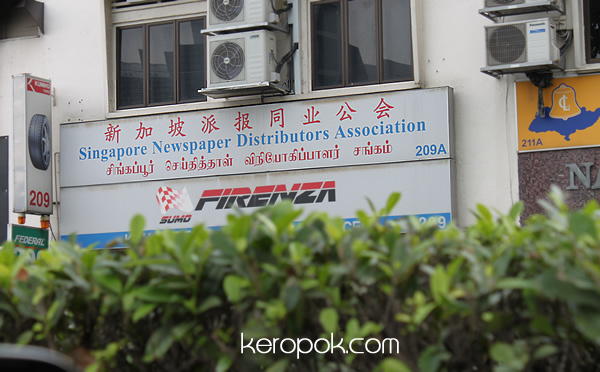 I never knew there is an association for newspaper distributors until I saw this last Saturday! I assume the people who joined the association are those who distribute newspaper in the wee hours to household all over Singapore. Do you think newspaper distributors have a tough job? I happen to saw this on a building. I wonder what happened. There are holes on what looks like pillars. It reminds, that what you see is usually it is. One look and that looks like a big pillar. But it now looks like it is just a hollow column. I am still curious, what happened! 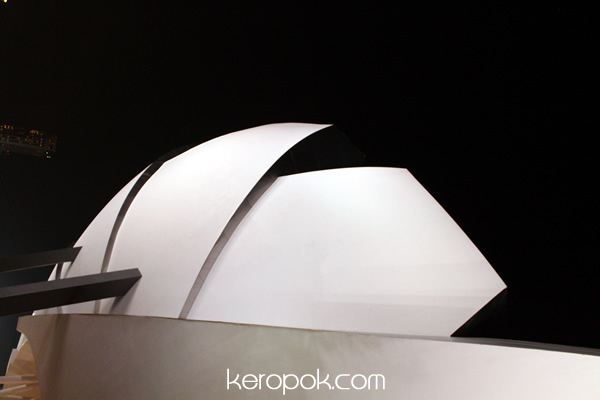 Singapore's Sydney Opera House miniature? Singapore's version of Sydney Opera House? I was holding my camera up and took a photo and when I saw the preview screen, I thought it looked a bit like the Sydney Opera House. 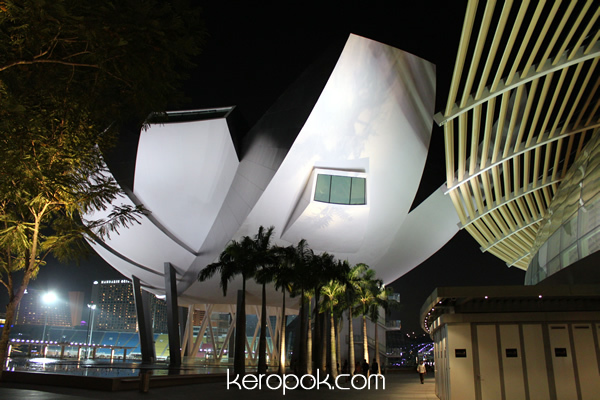 The above is part of the MBS ArtScience Museum. Can you spot which part of it I took? Anyone gone inside? It is worth the ticket prices? I wonder if there are any free days to go in. 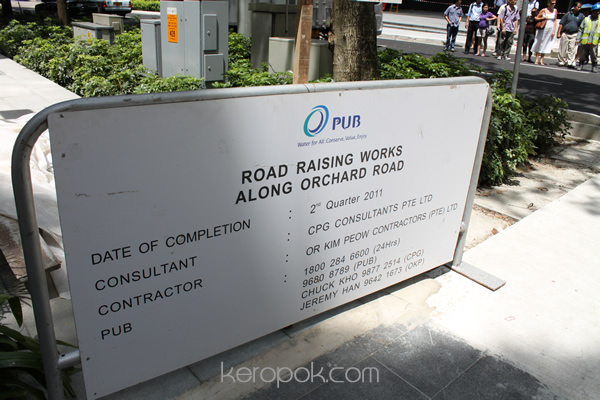 The roads are being raised along Orchard Road. 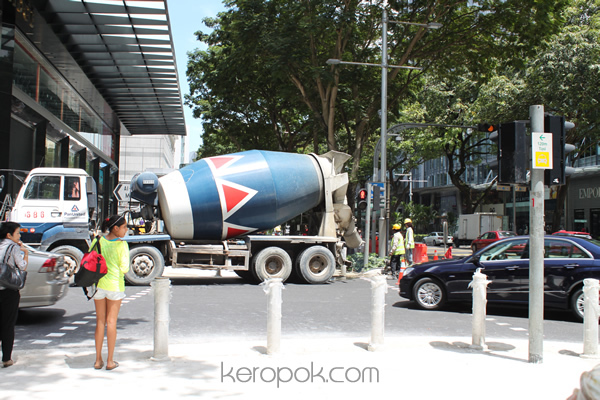 I got confused recently when I took a bus to Orchard Road. The bus stops have shifted and I got down the wrong stop.